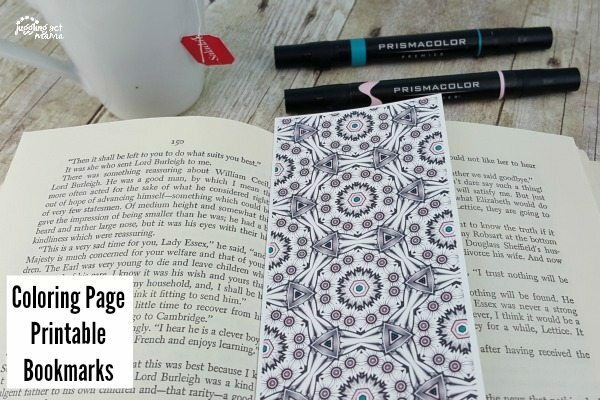 These Coloring Page Printable Bookmarks are a fun free printable that you can color in just a few minutes. They’re perfect for every adult coloring enthusiast. I’m so in love with my adult coloring book and markers. I thought I’d make a fun printable for all my readers to enjoy. 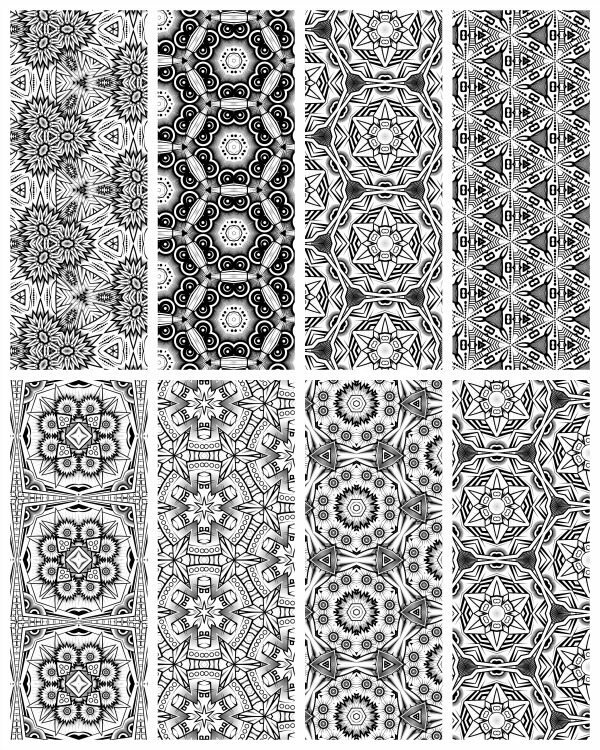 You can download this sheet of eight mosaic designs for FREE! Just print on cardstock so you’ll have a study bookmark. Then, use your favorite markers and colored pencils to color. You can also easily “laminate” them at home. Just cover both sides with packing tape. 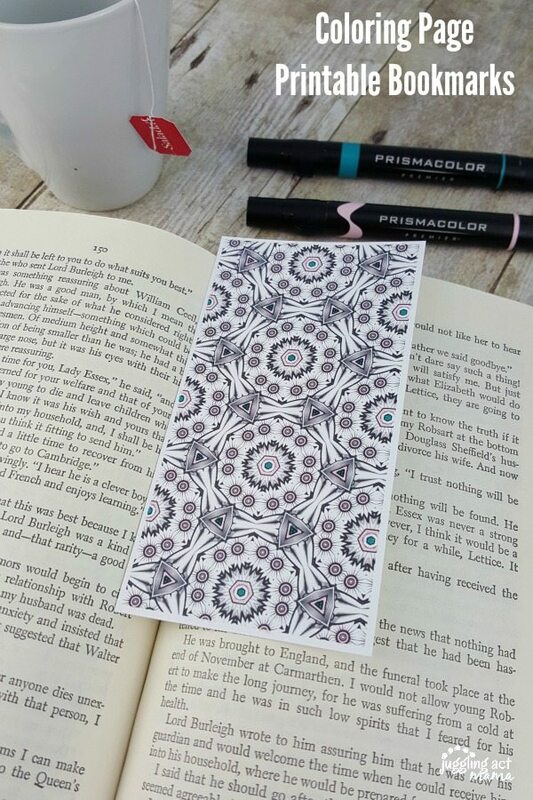 These little coloring page printable bookmarks are perfect when you don’t have time to do a whole coloring page. They also make lovely gifts for get well baskets, stocking stuffers, teacher appreciation, and book lovers. You’re welcome to download these and also share the link with others. Please be sure to note our Copy Right Notice. Copy Right Notice: You may download and print these coloring page printable bookmark files solely for your own non-commercial use provided that you agree not to change or delete any copyright or proprietary notices from the materials. For more information, please see our Copy Right Notice. Aren’t all these mosaic designs fun? I love all the intricate details on these. Would you be wiling to let a public library use these to pass our to our customers? They will not be sold.